Cotton futures flirted with 74 cents all week, basis the nearby March contract, and climbed as high as 74.66 on Friday (January 18) trading. The bulls pushed the market rumor that China was receptive to a trade package that included a long-term annual one trillion dollar purchase of U.S. goods. Such a package would eliminate the entire U.S. trade deficit with China by the end of the U.S. Administration’s second term, 2024. Trade talk rumors and rumors of export sales continue as the only true market fundamental, but facts are scant. Futures trading is adequate, albeit marginally low in volume, but open interest has increased. The verbal speculation of good export sales holds some validity, although it cannot be verified. 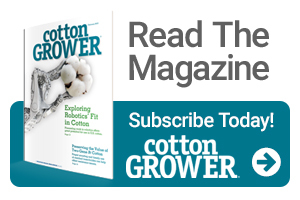 Too, given that USDA will call some CCC employees back to work on a limited basis adds evidence that export sales are moving, and that cotton is being positioned for export. Nevertheless, with unverified information being the best news available, the market remains subject to a high level of volatility. Analysts continue to probe the bullish side of the market, but U.S.-China trade talks must further advance for the market to find its true trading range. More and more comments are surfacing that higher prices are in store for the short run. But longer term, the 2019 crop picture continues to favor the bearish side of the market. The 75-cent level appears to be the market’s top side until more is known about a potential trade package. The rumored trade negotiation with China was presumably behind the price advance. Once the news broke, the market began a selloff (buy the rumor, sell the fact). 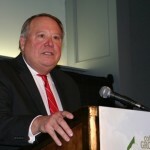 Additionally, the package was the type that will be required to get agriculture – and particularly soybeans and cotton – out of the doldrums. Yet, for now it is only Shakespearian. Nevertheless, potential export sales to China, unless mandated by the Reserve, will likely be small, as China has the necessary stocks on hand. With most of the cotton news surrounding the Chinese-U.S. tiff, many have failed to notice the ever-weakening Chinese economy and the lack of consumer confidence in the government and the economy. Again, unless the Government mandates that the Chinese Reserve purchase U.S. cotton, it is doubtful any meaningful sale will be made. The 70-75 cent trading range appears to be solid. Failure to hold 70 cents would likely take prices to the 67-cent area. The dip down to the 71-72 cent level found solid buying. Thus, that would likely be the low. A solid close above 74.50 would offer a chance to climb to 76-77 cents, where massive resistance would be faced.